If you think the biggest land animals or dinosaur is T-Rex, you probably wrong. The biggest animals who ever lived on the Earth were the Sauropods. 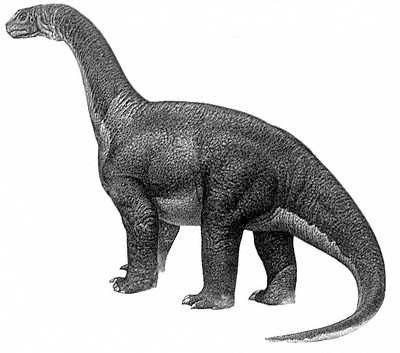 Sauropods were the giants who have very long neck dinosaurs. As seen on TV, Encyclopedia or another source, this long-necked dinosaurs were herbivorous. They had long and small heads, very flexible necks with bulky bodies. They also have very long tails. Most Sauropods were walked very slow with their big feet. They eat plants and conifers with their long-neck. 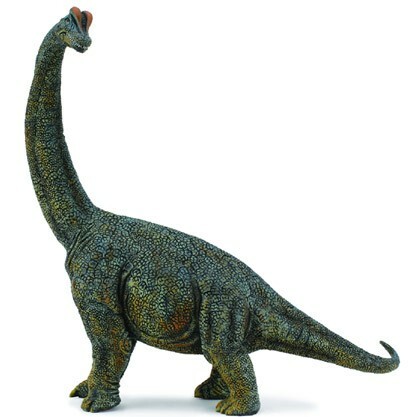 The Sauropods were existed for about 130-million years. They live from the early Jurassic period through late Cretaceous period. Brachiosaurus is one of them. Brachiosaurus had very long front legs, having elephant-like skin and scaly. Brachiosaurus had spines in down their backs for display. Most long-necked dinosaur fed their food by raking and swallowing – not chewing. They had to keep eating conifers and another plants to feed their great bodies. Another Sauropods, Diplodocus have teeth that peg-like and arranged like the teeth of a rake. Camarasaurus, have spoon-shaped teeth and filled most of the jaw. Both Diplodocus and Camarasaurus were adapted for pulling food or leaves off the trees. Long Necked Dinosaur like Brachiosaurus, Diplodocus or Camarasaurus, weighed about 100 tonnes! Imagine! So they must have strong legs to support their weight. If you cannot imagine, just see how elephant walking and the kind of their foot. Big-bodies dinosaur walked on their tiptoes. Who Is the First Long Neck Dinosaurs? Sauropods isn’t the first dinosaur with long-neck. 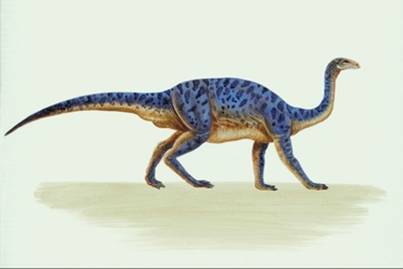 The very first dinosaur with long neck were Psauropods. Psauropods means “before lizard feet”. They lived in the Late Triassic and extinct in the Early Jurassic. 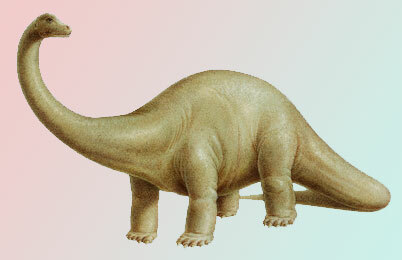 Psauropods were the ancestors of the sauropods.